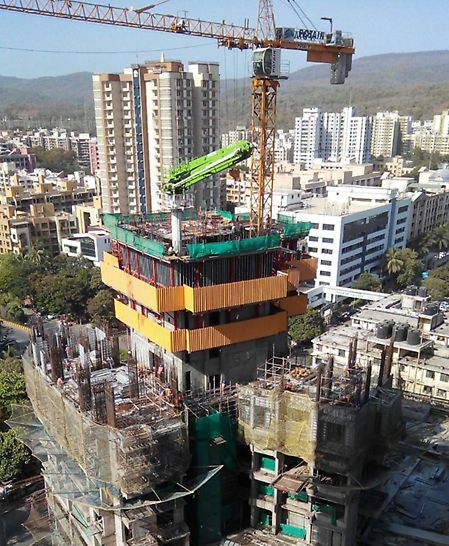 Alpine Tower is a prestigious high rise building in North Mumbai. Positioned strategically, this structure offers luxuriously appointed apartments that are equipped with the finest of amenities. PERI provided very unique solution for climbing and protection system. The solution turned out cost efficient and time efficient. I feel proud to say that PERI Formwork Systems are versatile in nature and adaptable to any critical requirements of a Project. 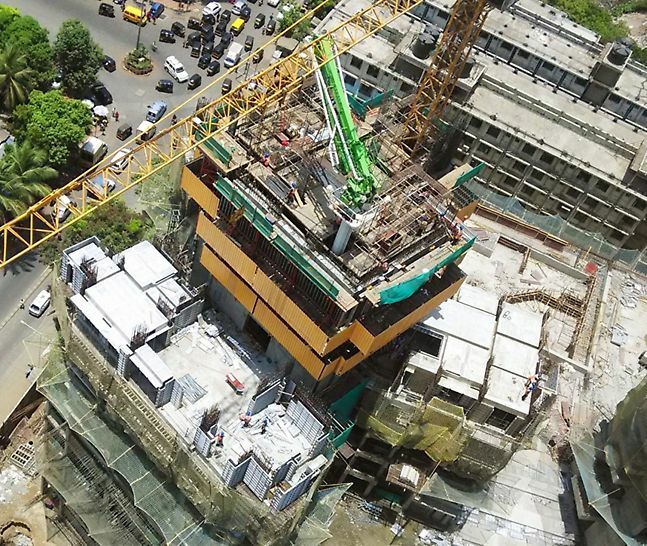 Due to its availability for wide range of applications, PERI formwork proves to be more cost efficient and time efficient. The services provided are outstanding and we feel they are an extended arm to solve problems. PERI provided solution with Rail Climbing system (RCS) and protection units. 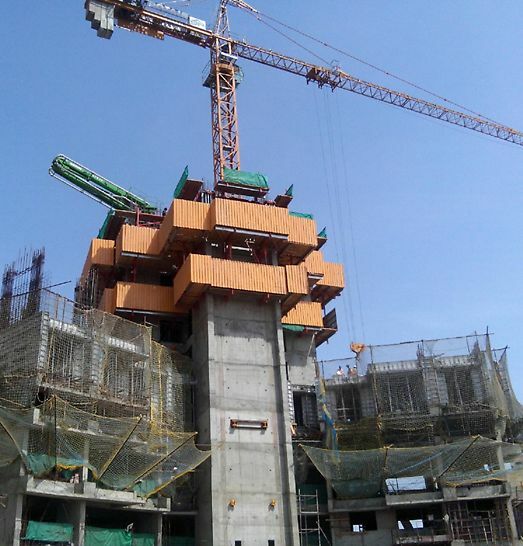 We supplied 500 m² VARIO, 14 RCS units for Corewall & 28 RCS Protection units for the project. Special RCS PL units were supplied for the insides of core walls which provides platform for reinforcement stacking or tying. 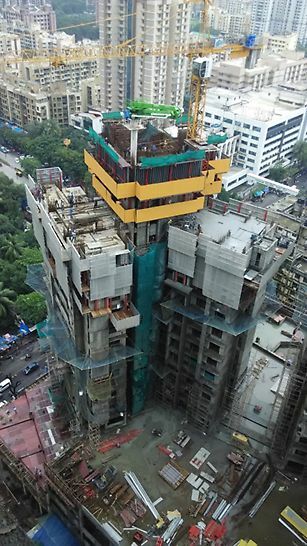 Four outrigger platforms have been connected to RCS edge protection units which are being used to transfer material from one floor to other which is very unique & cost-effective solution.